It's been more than two whole months since the last leak from Duke Nukem Forever, so a fresh look at what could've been, particularly previously unseen driving sequences, is overdue. Much of what you'll see in the collection of Duke Nukem Forever clips you may have seen before. 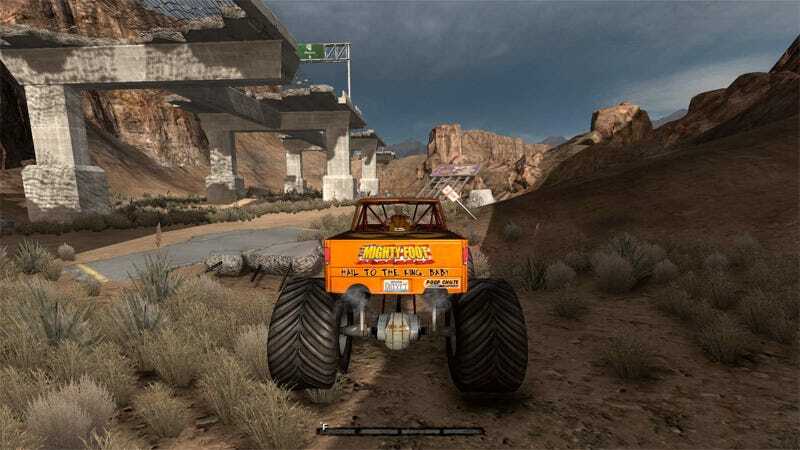 The latest collection, current as of this weekend, combines old leaks from 3D Realms' still unfinished first-person shooter with what appears to be footage of Mr. Nukem driving a monster truck at monsters. There's also footage of Duke fighting giant beasts underwater, working a crank for some testosterone-filled puzzle solving, and jumping off ramps with his aforementioned monster truck. Don't miss it. Thanks to Lorand and Sander for the tips!